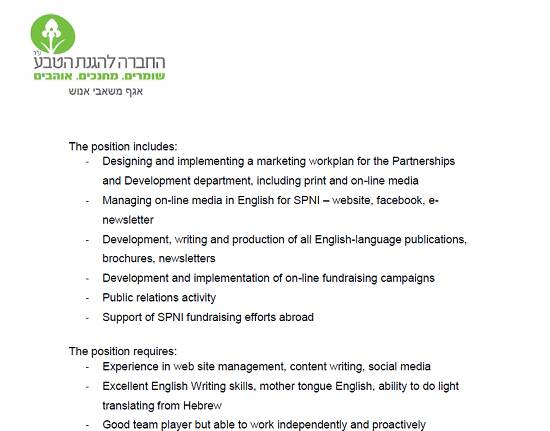 The Society for the Protection of Nature in Israel is looking for a new Marketing & Communications Coordinator. Bring your creativity to SPNI's online and print media. Candidates should speak English at a mother-tongue level and fluent Hebrew.